A native of Blakely, Tom received his BA from East Stroudsburg University & his PA Real Estate Broker License from Penn State University. 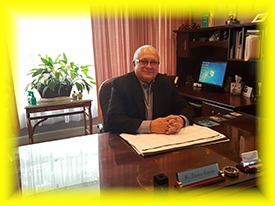 In 1992, Tom became a Pennsylvania General Appraiser and currently operates a regional appraisal company, servicing a 10 county area. Tom has been engaged in various businesses and has been actively involved in real estate as a Real Estate Broker, Business Broker, Residential /Commercial Appraiser, and Developer for over 30 years. He is the owner of Capezio Realty Company, President of CRC Real Estate Services, a licensed PA Real Estate Broker and a Certified General Real Estate Appraiser. His professional memberships include Local, State and National Realtor & Appraiser Associations. Tom holds professional designations of CREA, Certified Real Estate Appraiser, and CCRA, Certified Commercial Real Estate Appraiser from the National Association of Real Estate Appraisers. He is also an Associate Member of the Appraisal Institute. 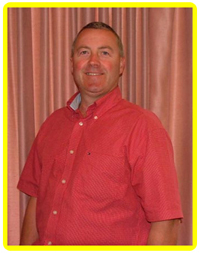 Tom is an active volunteer in several community organizations and resides in Blakely. 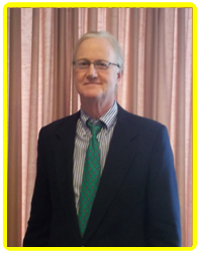 Greg has resided in Northeastern Pennsylvania for over 40 years. 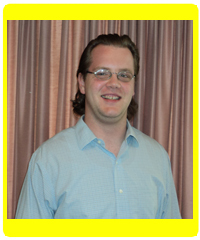 He is a graduate of Penn State University and has a Bachelor of Science Degree, majoring in Real Estate. 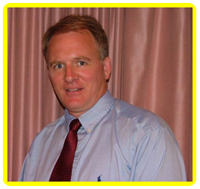 Greg has been a licensed Realtor in Pennsylvania since 1993 and a Certified General Appraiser since 2004, selling and appraising residential and commercial real estate. He obtained certification to perform residential and commercial appraisals in the State of New York in March, 2008. Greg resides in Dalton with his wife and three children. 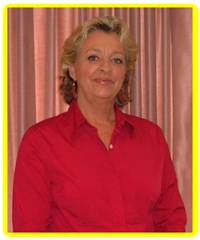 Cynthia has been in the Real Estate industry for 19 years. As an Office Manager, Real Estate Sales Associate and Broker, she managed a Real Estate office in Oregon for 11 years. After returning to Northeastern Pennsylvania, she began working for Capezio Realty Co. as an Administrative Assistant and Licensed Real Estate Agent. Her interest for the Appraisal business grew at Capezio and in 2005; she completed her courses to become a Certified Residential Real Estate Appraiser. She is FHA approved, and is currently apprenticing for her Commercial Appraisal Certification. Cynthia lives in Wayne County with her husband, Vonn. She has three grown children, Heidi, Hans and Dane, and a granddaughter. Tania has a B.S. in Business Administration from Penn State University and a Masters Degree in Finance and Investment. Her experience includes 4 years with Emery as an accountant. Following her employment with Emery, she was a Cost Analyst with Lockheed Martin. 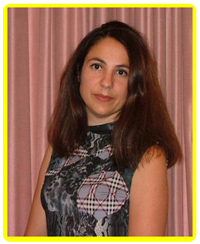 Tania is a Licensed Real Estate Agent and a Certified Real Estate Appraiser and has been with Capezio for 6 years. 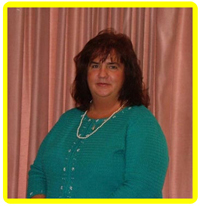 She is FHA approved and has completed coursework for her Commercial Appraisal Certification. She resides in Scott Township with her son, Domenick. Michael's background consists of 20 year's in the banking industry. In 2004, he pursued his interest in Real Estate and obtained his Pennsylvania Real Estate License. He began working with Capezio Realty Co. as a Licensed Real Estate Agent and Appraiser Apprentice. Michael has completed his coursework for his Residential Appraiser Certification and is currently striving to complete the field work necessary prior to sitting for the Residential Appraiser Certification exam. Michael lives in Clarks Summit with his wife, and two children. Karen is a Licensed Real Estate Agent and is the Administrative Assistant for CRC Real Estate Services, Capezio Realty Company, Capezio Rental Properties and Terrace Professional Plaza Inc. Prior to working for Capezio Realty she worked at the Olyphant Borough on the home revitalizing grant project through Housing and Urban Development. She was previously employed for Dunn and Bradstreet in the History and Operations Department. She graduated from Marywood University with a degree in Accounting and Computer Information Science and lives in Lackawanna County with her husband, Peter and sons Paul and Michael. Jonathon was born and raised in Dallas PA and graduated from Dallas Area High School. He graduated from Dickinson College receiving a Bachelor of Arts Degree in Economic Thought and Graduate level course at Johns Hopkins University School for Advanced International Studies. Prior to coming to Capezio Realty his background includes 4 years in the banking industry. Jonathon is currently pursuing and completing his coursework for his General Appraiser Certification and is currently striving to complete the field work. Jonathon resides in Blakely. and unwavering dedication to clients are some keys to his success. Rogan's tireless work ethic has paid off. He was named Scranton's Board of Realtors "Rookie of the year" and was recently voted Northeastern Pa's #1 Realtor by Scranton Times Readers. Mike lives in Archbald with his wife Judy and has a daughter Kaitlin residing in New York City.